In order to use verbs, you will need to learn about subject pronouns. A subject pronoun replaces the name or title of a person or thing and acts as the subject of a verb. 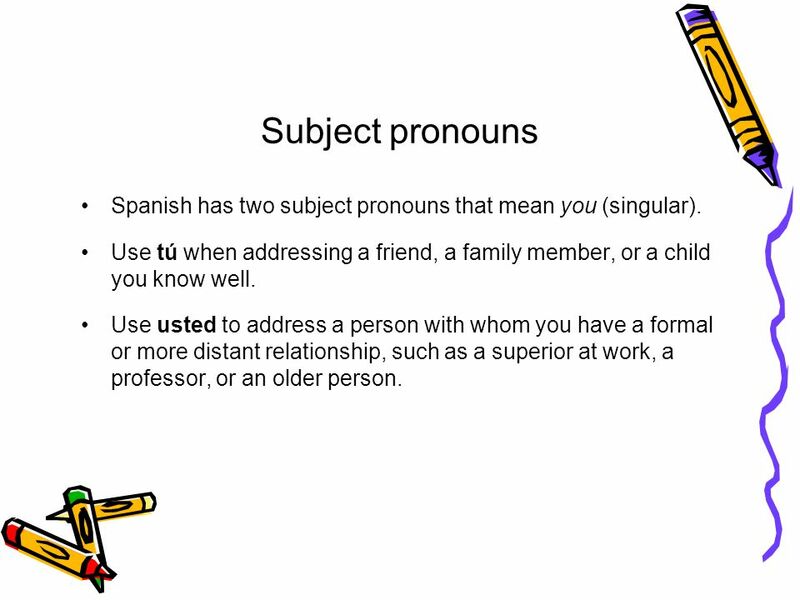 In both Spanish and English, subject pronouns are divided into three groups: first person, second person, and third person. 4 Subject pronouns Spanish has two subject pronouns that mean you (singular). Use tú when addressing a friend, a family member, or a child you know well. 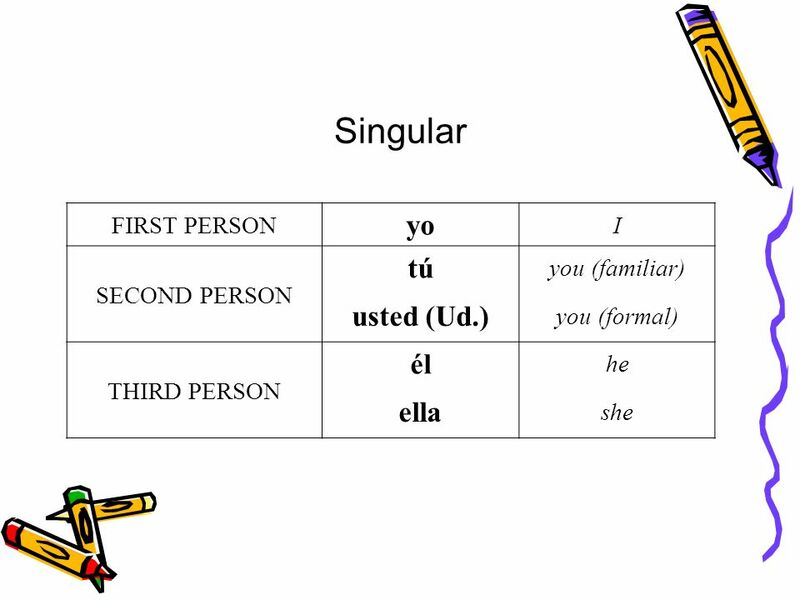 Use usted to address a person with whom you have a formal or more distant relationship, such as a superior at work, a professor, or an older person. 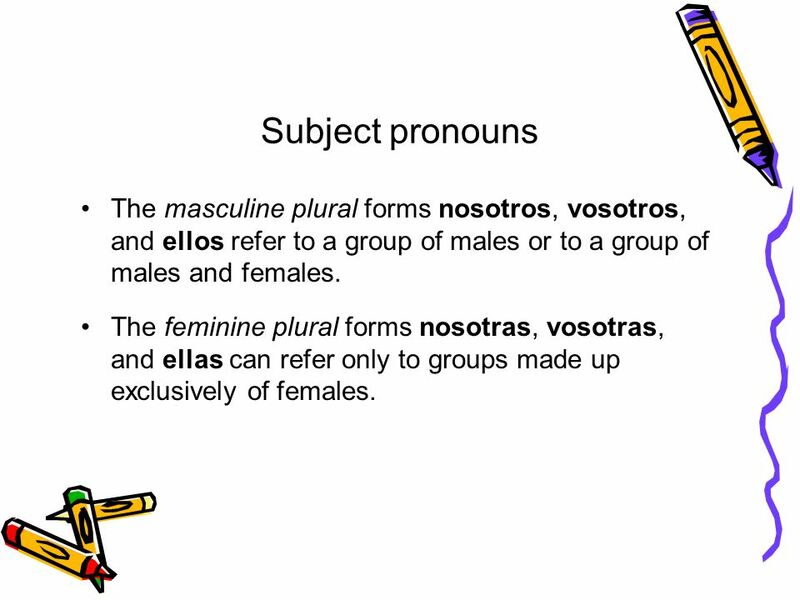 5 Subject pronouns The masculine plural forms nosotros, vosotros, and ellos refer to a group of males or to a group of males and females. The feminine plural forms nosotras, vosotras, and ellas can refer only to groups made up exclusively of females. 6 Subject pronouns Es un problema. Es una computadora. 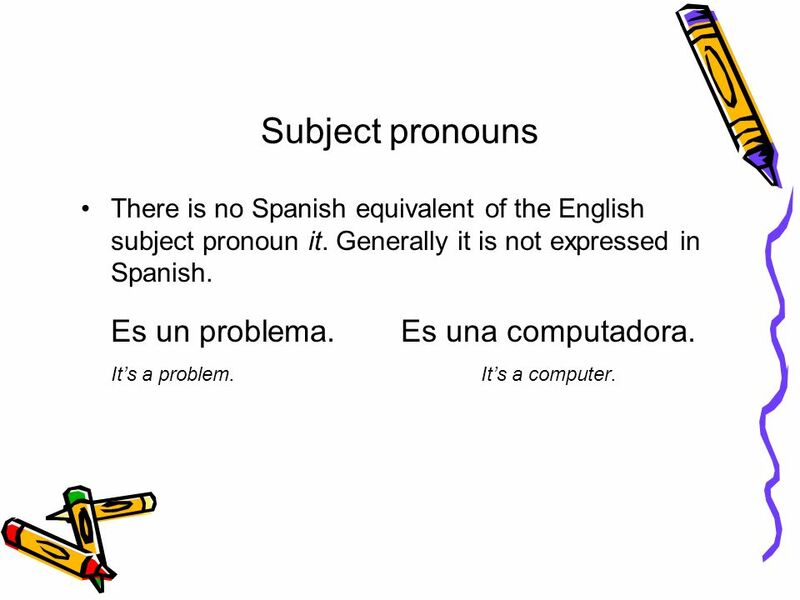 There is no Spanish equivalent of the English subject pronoun it. Generally it is not expressed in Spanish. Es un problema. Es una computadora. It’s a problem. It’s a computer. 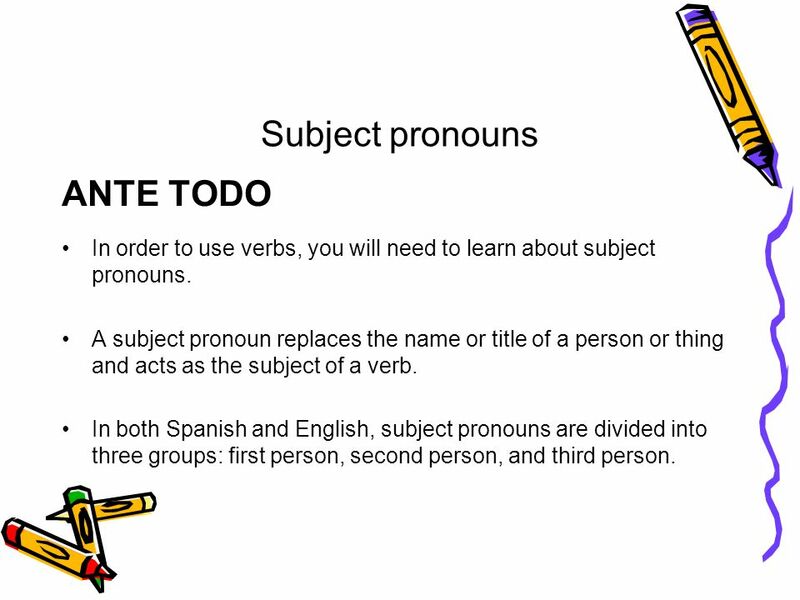 Download ppt "Subject pronouns ANTE TODO"
ESPAÑOL UNO CAPÍTULO 1 APUNTES. Warm up 1.2 Describe one of your family members using 3 adjectives we just learned in Spanish. REMEMBER: “o” is used at the end of the adjective to describe. Subject pronouns In order to use verbs, you will need to learn about subject pronouns. A subject pronoun replaces the name or title of a person or thing. Spanish I- Unit 1 Chapter 1- Grammar I.